Today, Google Analytics announced that Universal Analytics now has an Upgrade Centre to enable the upgrade of existing web properties from original GA.js to Analytics.js. This 2 step process will allow you access to all your historical data plus the ability to setup and work with elements of universal analytics such as custom dimensions and metrics and improved cross domain and device tracking. Within the Admin section, you should soon see a tool that will allow you to upgrade to Universal Analytics in your property settings. Re-tag with the Universal Analytics version of tracking code. 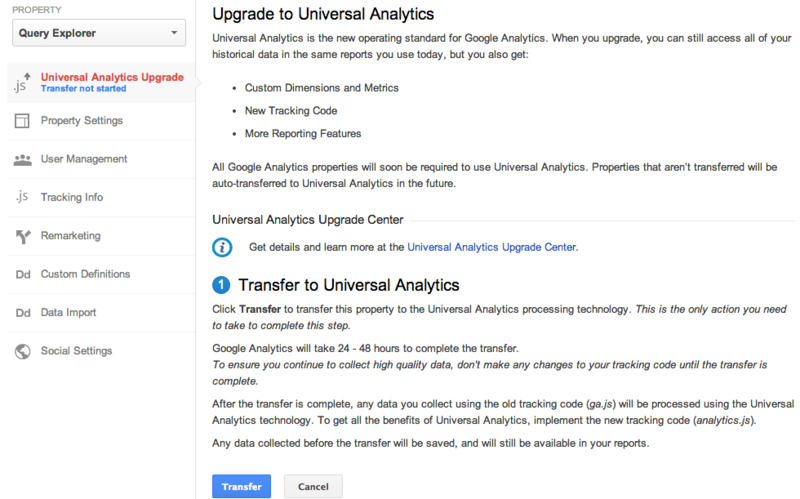 Should you not have time to upgrade, over the coming weeks, Google Analytics will auto-upgrade to Universal Analytics. © 2019 - Future Insight Analytics. All rights reserved.